Lying on the remote north west coast of England is one of the most secret places in the country - Sellafield, the most controversial nuclear facility in Britain. 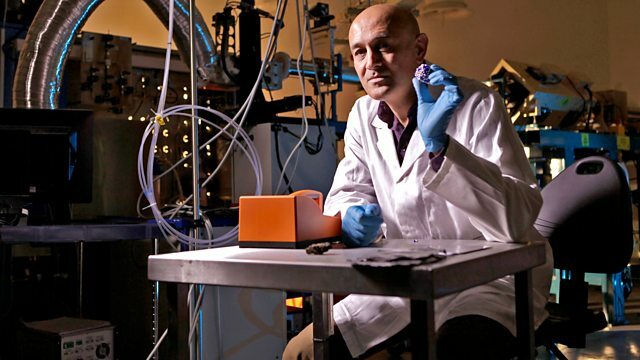 Now, Sellafield are letting nuclear physicist Professor Jim Al-Khalili and the television cameras in to discover the real story. Inside, Jim encounters some of the most dangerous substances on earth, reveals the nature of radiation and even attempts to split the atom. He sees inside a nuclear reactor, glimpses one of the rarest elements in the world - radioactive plutonium - and even subjects living tissue to deadly radiation. Ultimately, the film reveals Britain's attempts - past, present and future - to harness the almost limitless power of the atom. What happens to a plant when it’s exposed to a huge dose of radiation? What do you do with old nuclear power stations? How are they decommissioned safely and cheaply at the end of their operational lives?